This time the spotlight will be shining on The Wizard’s Lair, a 16-bit mazelike adventure full of monsters and (hopefully) groovy loot! Let’s help it escape the cold, lonely emptiness of Greenlight limbo, eh? This role-playing game adventure features randomly generated dungeons, 16-bit style graphics and easy-to-learn gameplay! 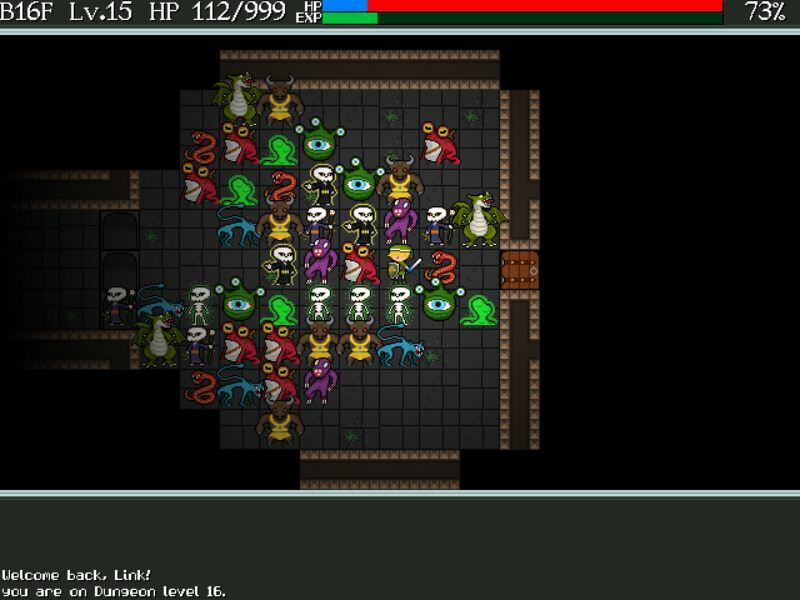 Create your hero and challenge the terrors and traps of this 30-floor dungeon! Terrors? Traps? Pft. Permadeath, which is also part of The Wizard’s Lair, however… eek! Also, as I mentioned earlier, there better be some worthwhile loot and / or treasure at the end of those thirty floors. Because that’s a lot of walking, hacking, slashing, potion quaffing, and – more than likely – several close encounters with the grim reaper. Oh and the guy in that above screenshot (which is from its Greenlight page, I might add)? No chance. He’s a goner. RIP, Link! So riddle me this, dear reader: why is The Wizard’s Lair still struggling to get through Greenlight? It’s been out since March 2013, so how about visiting its Greenlight page and handing over a ‘yes’ if you like what you see? Remember: your vote could be the one that grants it access to Steam!